At Duke's Place, Jimmy and Kevin find out that the handbook isn't written down. It means listening to Duke and his friends talk about their lives. But how can Duke, a senior citizen, understand what it is to be young now? 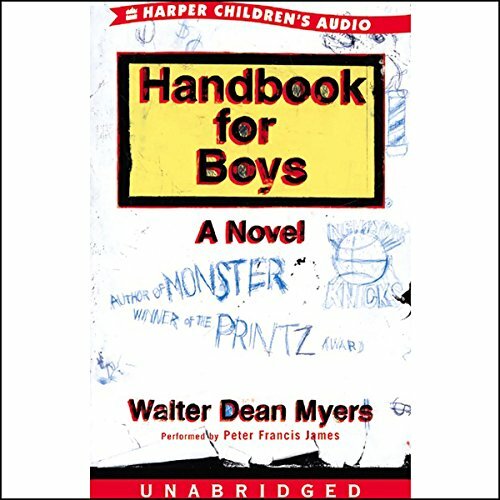 In the tradition of his award-winning book Monster, Walter Dean Myers once again breaks new ground with this extraordinary, original, and complex novel about learning to be a man. ©2002 Walter Dean Myers (P)2002 HarperCollins Publishers, Inc. Listened with my 13 year old son and we both thoroughly enjoyed the story. The dialogue was timely and easily understood. Highly recommended for boys 12-15. Should be an after school mini series.